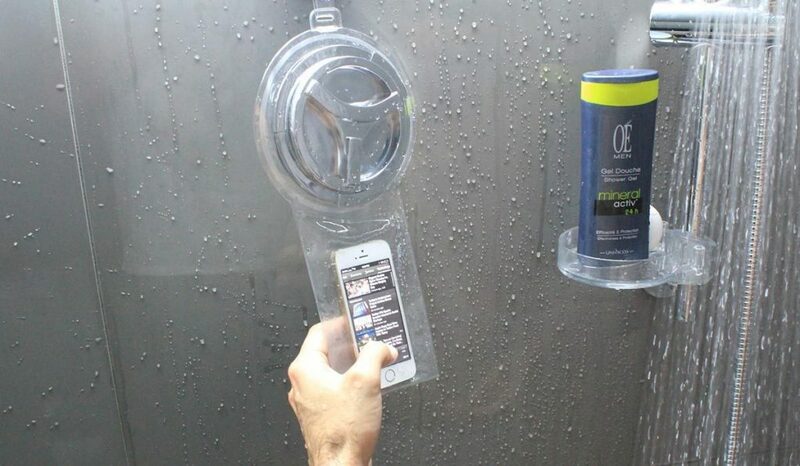 Ever Wanted to Take Your Smartphone in The Shower? Your smartphone can do ANYTHING, right? So why can’t it accompany you in the shower for that all important mid-shampoo email? Or to back you up with some serious musical accompaniment as you take advantage of your bathroom’s amazing acoustics? Well, now it can; at least, if you live in Japan! Yes, Japanese phone company Kyocera has announced plans to release a new washable, perfectly-functioning, soap-proof smartphone you can use in the shower! The company claims that smartphone use is so frequent that this is, indeed, a common request of users all over the world. They call this phone, the Rafre and it has been IP58 certified. Now, they do, at first, report that this phone is intended for a variety of uses, but, really, the most innovative—and some might even argue the most “important”—is in the shower. Simply rinse and towel dry when your shower is finished and you are on your way. But maybe you aren’t really a “conduct business while you wash your business” kind of person. Indeed, you could use this soap-proof phone to listen to your favorite music or even take advantage of its 1seg TV tuner and never miss your favorite show on its 5-inch, 720p screen! You can even place it in its rubber duck-shaped stand to prop it up, freeing up your hands for the shampoo and conditioner! Powered by Android 5.1 Lollipop and loaded with 2GB of RAM included, the Rafre, of course, gives you versatile use outside of the tub (but, c’mon, are you really ever going to use it anywhere else?). Sure, if you do actually want to use it on the go, you will also appreciate the 16GB expandable microSD memory and a 13 mp back camera in a device which also supports 4G LTE.